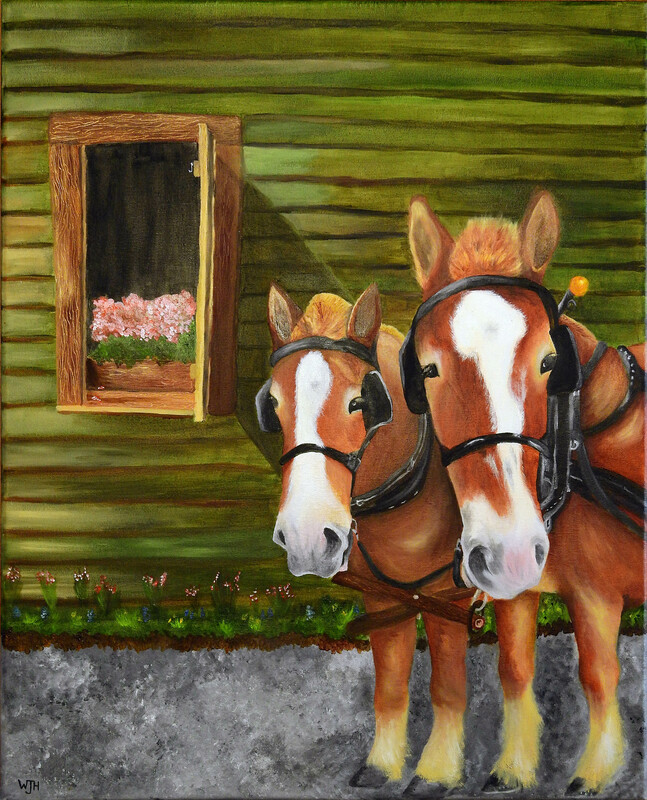 This is a 16×20 oil painting on canvas done by Winnie Hettinger, a student here at Auntie’s Place. This is a picture of her neighbor’s horses, in her own setting. We’re thought to leave for your place in about a half hour to pick apples 🍎 if you’re not busy? Glenn could also trim your trees or do any chores you need? This is if you have the time.